Belize, formerly British Honduras, is the only country in Central America without a coastline on the Pacific Ocean (only the Caribbean Sea to its east) and the only one in the region with English as its official language. Belize is bordered by Guatemala to the west and south and Mexico to the north. With its British colonial history and a long Caribbean coast, Belize is culturally similar to many of Britain's former West Indian island colonies, with a majority creole or Afro-Caribbean population. But it also includes a large native Mayan population, especially in the north and northwest of the country. As a result, although English is the official language, Spanish is also often spoken. In the south east along the Caribbean coast live the Garifuna (Black Caribs), an Afro-Amerindian culture. After long journeys starting in what is now the Netherlands in 1790, via Germany, Southern Russia, Canada, the United States, and Mexico, several thousand German-speaking Mennonite Christians arrived in Belize in 1958 after long and detailed discussions with the government regarding specific exemptions and privileges. They are easily recognizable by their speech (somewhat distinctive from modern standard German) and "quaint" dress. Like the neighbouring parts of Guatemala and Mexico, this area was settled for thousands of years by the Maya people. They are still here, an important part of Belize's people and culture. While the Spanish Empire claimed the area in the 16th century, the Spanish made little progress in settling here. The British settled first on the coast and offshore islands for logging. In 1798 British Belizean forces defeated a Spanish attempt to drive them out in the Battle of St. George's Caye, an anniversary still celebrated as a holiday each 10 September. The colony of British Honduras grew in the 19th century. At first Africans were brought in as slaves, but slavery was abolished here in 1838. Following the abolition of slavery, the British would bring indentured Indian labourers to the colony to supplement the labour pool, and their descendants remain a significant minority to this day. Many refugees from the 19th century Caste War of Yucatán escaped the conflict to settle in Belize, especially the northern section. The government of Guatemala has long claimed to have inherited the 15th-century Spanish claim to Belize. Although the British were willing to grant independence to British Honduras as early as the mid 1960s, this ongoing dispute played a major role in delaying full Belizean independence until 1981, long after London granted independence to other former colonies in the region. Guatemala refused to recognize an independent Belize at all until 1991, and to this day lays claim to virtually all Belizean territory south of Belize City. The topic remains a sensitive one, particularly in the southern half of Belize. Belize escaped the bloody civil conflicts of the 1980s that engulfed much of Central America, and refugees from the conflict in Guatemala arrived, mostly settling in the west. While Belize has not been immune to the rampant drug crime and grinding poverty of its neighbours it is a comparatively safe destination in a conflict-prone part of the world. Belize shares particularly close diplomatic and economic ties with both the United Kingdom and the United States. Tourism has become the mainstay of the economy as the old agricultural products — sugar, banana, and oranges — have lost ground. The country remains plagued by high unemployment, growing involvement in the South American drug trade, and increased urban crime. In 2006 commercial quantities of oil were discovered in the Spanish Lookout area. Tropical, very hot and humid. The dry season typically lasts from February to May and then the rainy season typically lasts through to November. Hurricanes that bring coastal flooding, especially in the south, are prevalent from June to November. The flat coastal plain is swampy with low mountains in the south. The highest point is Victoria Peak at 1,160 m.
As a former British colony, the official language of Belize is standard English with UK spelling rules, which makes Belize stand out from its Spanish-speaking neighbours. Spanish, Garifuna (Carib) and the Maya languages/dialects of Kekchi, Mopan and Yucatec are spoken in various parts of the country. Spanish is widely used as the first language in northern and western parts of the country. 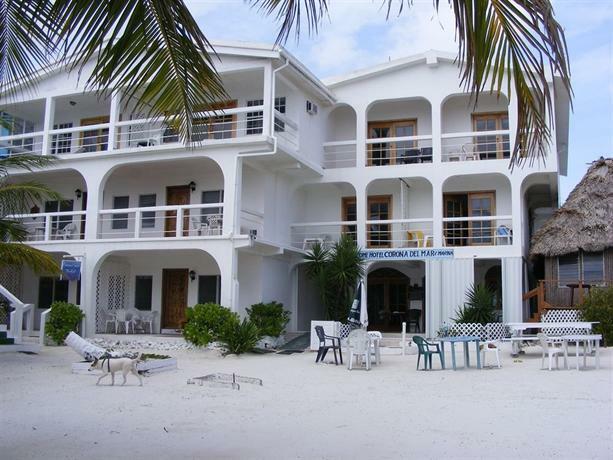 So-called "kitchen Spanish," an amalgam of Spanish and English, is common on Ambergris Caye. Belizean Creole, which has a certain degree of mutual intelligibility with standard English, is widely spoken as well. Most Belizeans are proficient in English and at least one of these other languages. Many Belizeans speak a mix of Creole and English among friends, and standard English to foreigners. The strong Caribbean accent may take some getting used to. If entering by land from Mexico, you will be charged a fee of M$533 (Mexican pesos) (as of May 2018) by Mexican immigration unless you can show proof that you paid the immigration fee when you entered Mexico. Your FMM tourist card is not enough. If you crossed at a land border, you'll need the actual receipt from when you paid the fee. If you reached Mexico via a commercial flight, you've may have already paid the fee with your airfare, but the border guards here do not care. You might be able to convince them if you have a print-out of an itemized receipt from the airline showing that this specific fee was included. Nationals who hold passports or refugee documents from all European Union member states, Andorra, Antigua and Barbuda, Argentina, Australia, the Bahamas, Barbados, Botswana, Brazil, Brunei, Canada, Chile, Colombia, Costa Rica, Dominica, El Salvador, Eswatini, Fiji, the Gambia, Ghana, Grenada, Guatemala, Guyana, Honduras, Hong Kong, Iceland, Israel, Jamaica, Japan, Kiribati, Lesotho, Malawi, Malaysia, Maldives, Marshall Islands, Mauritius, Mexico, Micronesia, Monaco, Namibia, New Zealand, Nicaragua, Norway, Palau, Panama, Papua New Guinea, Samoa, Saint Kitts and Nevis, Saint Lucia, Saint Vincent and the Grenadines, Seychelles, Sierra Leone, Singapore, Solomon Islands, South Africa, South Korea, Suriname, Switzerland, Taiwan, Tanzania, Tonga, Trinidad and Tobago, Tunisia, Turkey, Tuvalu, Uganda, United States, Uruguay, Vanuatu, Vatican City, Venezuela, Zambia and Zimbabwe, in addition to passports issued to British Overseas Territories citizens, do not require a visa to visit Belize. All foreign nationals with a valid US green card or visa for the US or Schengen Area are visa exempt for a maximum stay of 90 days. Cruise ship visitors do not even need a passport. 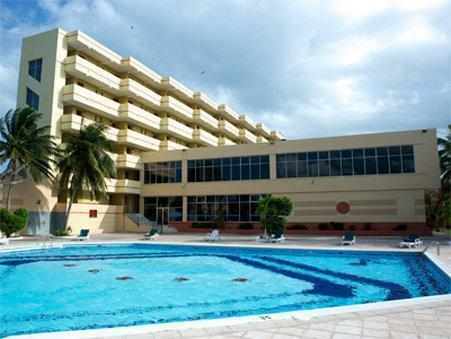 The Belize Tourism Board up-to-date information maintains up-to-date information. When leaving country by land, prepare to pay taxes (mandatory BZ$30 or US$15 border fee per person plus a BZ$7.50 or US$3.75 PACT fee per person if stay exceeded 24 hours (as of April 2016)) in cash, if paying in US dollars then you may or may not receive change in BZ dollars. 1 Philip S. W. Goldson International Airport (BZE IATA) (in Ladyville, 15km the northwest of Belize City (roughly 30 minutes' drive)). Year round flights are available from the USA (American, Delta, Southwest and United); Central America (Avianca El Salvador, Transportes Aéreos Guatemaltecos (TAG) and Copa Airlines); from within Belize and from the adjacent Yucatan Peninsula in Mexico (Maya Island Air and Tropic Air). Additional seasonal flights (Oct-Mar) are offered from Canada with Air Canada Rouge and Westjet. 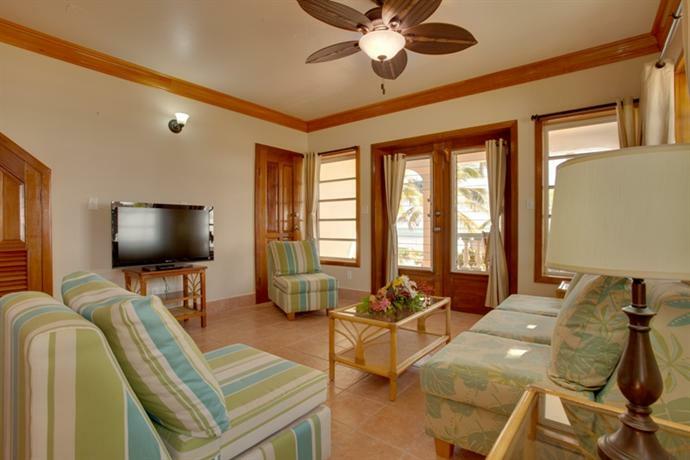 Fuentes Del Norte (FDN), Mundo Maya @ Suite #26, Brown Sugar Market Place 90 Front St, Belize City (250 m east along Front St from the Swing Bridge & the Ocean Ferry Belize Terminal.), ? +501 223-1200. Tickets are sold through Mundo Maya Travel at the San Pedro Express Terminal in Belize City. Buses stop at the marketplace along Front Street where the San Pedro Express Terminal is at. S & L Travel & Tours, 91 N Front St, Belize City (Same building as Image Factory, Next to Spoonaz Coffee), ? +501 227-7593. 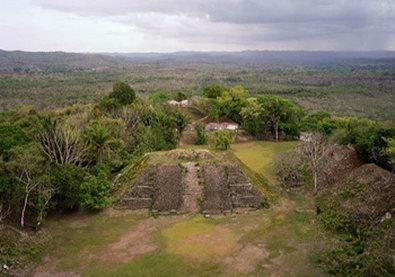 They arrange shuttle transportation to Tikal, Flores and Cancun from Belize City. Grupo ADO, Novelos Bus Terminal in Belize City. Once nightly departure to/from Cancun and Merida. BBOC. Frequent (hourly?) from Chetumal to Belize City and vice versa, with stops at Corozal, Orange Walk, and other towns along the way. Buses leave Chetumal from the "old ADO station" (la terminal antigua de ADO) on Salvador Novo street near Av. Insurgentes and Av. Belice. The inbound buses can only make drop-off stops between the border crossing and Belize City while the outbound buses can only pick-up passengers going traveling to Mexico or Guatemala. There are additional Belizean bus companies and drivers' unions going north from Belize City to Chetumal that can pick-up and drop off passengers along side the road with services to Orange Walk and Corozal Town. See "By bus" under get around in the below. Several cruise lines call on Belize City. Unfortunately they usually stay only one day, which doesn't allow the opportunity to really see Belize. You can visit one of the Maya ruins, ride an airboat in the salt marshes just outside the city, shop, go to the museum, go to the zoo or take either a short cave rafting trip or go snorkelling, but that's about it. That means about 70% of the things most tourists would like aren't available, not mention the eco-tourism points of interest. To Puerto Cortés, Honduras, the Gulf Cruza, a small, rickety speed boat (20 people) leaves Placencia each Friday at around 9:30AM (4 hr US$50), going first to Big Creek. It returns to Placencia on Monday. Tickets are sold in the tourist office next to the gas station. Stop by immigration first. Small speedboats operate on a daily basis between Puerto Barrios in Guatemala to Punta Gorda, cost is around US$20 one way. On Tuesday and Fridays, boats operate from Livingston in Guatemala to Punta Gorda. The ride takes no more than one hour. It's BZ$50. There's also a BZ$30 departure tax plus BZ$7.50 marine park fee. Foreigners are required to pay departure taxes and a conservation upkeep fee when leaving Belize via land, air, or water. These fees are only applicable to locals when flying. 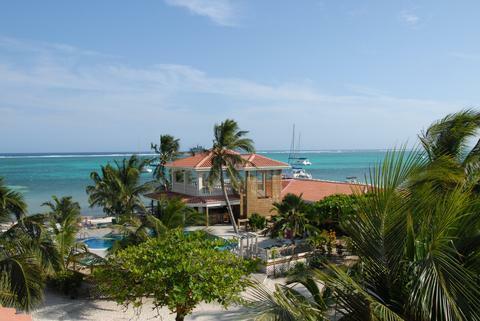 San Pedro Belize Express has over 25 daily departures, 14 first class boats. Belize is a fairly small country, and transportation between most destinations is rarely long or tedious. Tropic Air and Maya Island Air both have multiple flights daily to various towns around the country and to Ambergris Caye and Caye Caulker. They fly out of both of Belize City's airports, but flights from Belize City Airport (TZA IATA) are often significantly cheaper than those out of Phillip Goldson International (BZE IATA). Domestic flights are generally pretty reasonable priced, and thus popular if your time is limited and budget is not. Flights are operated with planes ranging from 8 to 68 seats. Because of the limited capacity, booking in advance is advisable. For bookings from outside Belize, there is only one airviva internet agent, who can make bookings, take payment (credit/debit cards/PayPal) and then send e-tickets. Some hotels do also offer to make the flight reservation on your behalf. Several competing bus lines operate on the main road in the north-south direction from Punta Gorda to Belmopan and Belize City. There are bus stations in the main towns, or simply stand on the side of the highway and wave at an approaching bus. Most buses have a conductor in addition to the driver, who stands by the door and will come to your seat to collect the fare at some point during the trip. Fares run anywhere from BZ$2–25 depending on distance travelled. Most buses in Belize are retired US school buses (Bluebirds), that have been given a slight makeover, a luggage rack installed, and sometimes a new paint job. They generally aren't too crowded, but you may have to stand occasionally. Some are the older MCI (Motorcoach Industries) buses that once served as a Greyhound bus (or for some other commuter or intercity bus company) in the U.S. The MCI buses are typically used for some Express services or for international trips to Chetumal or chartered buses to Flores. The Northern Zone (Belize City - Orange Walk - Corozal - Chetumal) Not all buses continue to Chetumal from Orange Walk. Others may deviate east or west from the Philip Goldson Highway (Northern Highway) to other surrounding towns. They are: Albion’s, Belize Bus Owners Cooperative (BBOC), Cabrera’s, Chell’s, Frazer, Joshua’s, Morales, Tillett’s, T-Line and Valencia. Northbound buses depart from Belize City about every half hour from 05:30 to 19:30. Jex and Sons Bus provides bus service between Belize City and Crooked Tree. The Western Zone (Belize City - Belmopan - San Ignacio - Benque Viejo Del Carmen) They are: BBOC, D and E, Guerra’s Bus Service, Middleton’s, Shaw Bus Service and Westline. Westbound buses depart from Belize City between 05:00 and 21:00. Some may continue west from San Ignacio to the Guatemalan border at Melchor del Mencos but they do NOT cross into Guatemala. Others may continue north or south from Belmopan, San Ignacio, etc to reach other towns not on the Western Highway. Southern Zone (Belize City - Belmopan - Dangriga - Placencia - Punta Gorda) Buses to the Cayo and Stann Creek Districts to the south are: James Bus Line, G-Line Service, Ritchie’s Bus Service and Usher Bus Line. Buses authorized to operate in the rural areas of the Southern Zone are Chen Bus Line, Yascal Bus Line, Smith Bus Line, Richie Bus Line, Martinez Bus Line, Williams Bus Line, Radiance Ritchie Bus Line, and Polanco Bus Line. Taxis are common and relatively cheap in Belize. Most taxis do not use meters, so be sure to negotiate the price beforehand. For those wanting a truly Belizean experience, take the water taxis from city to city. The San Pedro Belize Express has the most daily runs and departs from the Brown Sugar Terminal in Belize City at 09:00, 11:00, 12:00, 13:00, 15:00, 16:00 and 17:30 to San Pedro and Caye Caulker. Departure from San Pedro Town pier on Black Coral Street next to Wahoo's Bar and Grill and leaves at 07:00, 08:30, 10:00, 11:30, 12:30, 14:30, 16:30 to Caye Caulker and Belize City as well as a last boat to Caye Caulker only at 18:00. There are boats departing from Caye Caulker to Belize City and San Pedro Town and they leave from the pier in front of the Basket Ball Court. Caye Caulker to Belize City: 07:30, 09:00, 10:30, 12:00, 13:00, 15:00, 17:00 and Caye Caulker to San Pedro: 07:00 (connection to Chetumal), 09:45, 11:45, 12:45, 13:45, 15:45, 16:45 and last boat 18:15. Chetumal Runs are available from Caye Caulker at 07:00 and from San Pedro at 07:30. Travelling from Chetumal to Belize, the boat leaves the Municipal Pier at 15:30 en route to San Pedro (90 min) and Caye Caulker (120 min). Rates: Belize City to San Pedro or return: BZ$30 or US$15 (one way), BZ$55 or US$27.50 (round trip). Caye Caulker to San Pedro, Belize City to Caye Caulker: BZ$20 or US$10 (one way), BZ$35 or US$17.50 (round trip). Compared to most Central American countries, driving in Belize is relatively safe. There is not much traffic, and the four major highways are all in good condition. Unfortunately, almost every road off the four major highways is unpaved so a 4-wheel drive vehicle is advisable. It is best not to drive late at night because there is almost no lighting, road signs are poor, and the last stretch is almost certain to be on an unpaved road (you risk breaking an axle on an unseen, but immense, pothole!) You won't need a map because there are few roads and it is hard to get lost. Rental rates often include insurance so you usually don't need to buy insurance separately. If you plan on using a rental car to visit Tikal in Guatemala, you should plan ahead and you must rent from Crystal Auto Rental because no other company will let you take your car out of Belize. Belize insurance is not valid in Guatemala so check with your credit card or car insurance company to see if they'll cover you for a trip into Guatemala. The Northern Highway (aka Phillip Goldson Highway) goes from Corozal on the Belize-Mexico border to Belize City via Orange Walk. This is the highway you'll use for the international airport, Altun Ha, and the Lamanai. Western Highway (aka George Price Highway) stretches from Belize City, via Belmopan and the Cayo District, to the border with the Guatemalan state of Peten at Benque. Along the way are the Belize Zoo (mile 29), the Hummingbird Highway (mile 47), Belmopan, and San Ignacio (mile 68). Major sights along this route include the adventure itineraries in the Cayo District, Mayan ruins at Xunantunich and access to the road to Caracol, and, from the Guatemalan border, the ruins at TIkal. To get to the Western Highway from the airport, go north on the Northern Highway, make a left at Burrell Boom, and follow the road for 19 km to the Western Highway at Hattieville. Hummingbird Highway goes from Belmopan to Dangriga connecting the Western Highway to the Southern Highway. You'll use this highway to get from Cayo, Belize City or the North to the Southern part of Belize. An alternative, slightly shorter, Coastal Highway takes you from Belize City to the Southern Highway but is a mess that is best avoided! Southern Highway runs from Dangriga (the Hummingbird Highway) to Punta Gorda, with a recently built section heading to the southern border with Guatemala. Along the way are the coastal towns of Hopkins and Placencia. The world heritage listed Belize Barrier Reef stretching along the whole coast of Belize. 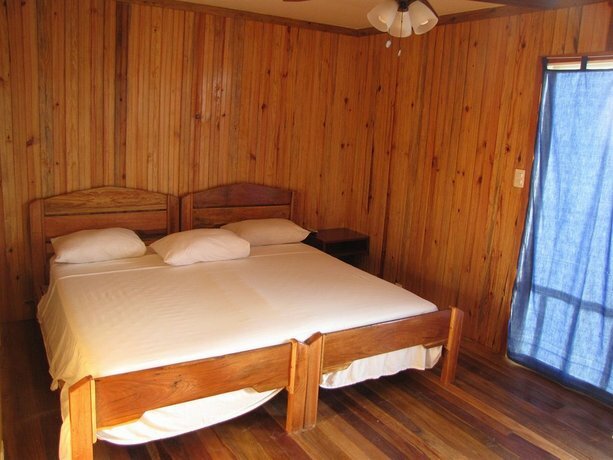 Prices range US$65-100 and tours are run by two companies, Jaguar Paw, and Back-A-Bush tours. Sport fishing in Belize is second to none. The bonefish is the premier fly fishing game fish in the world and it can be found in the grass shallows through Belize. It's pound for pound perhaps the strongest animal in salt water. The snorkelling and scuba diving is world-class and there are many exceptional dive sites to be found in Belize. One of the best ways to explore Belize waters is by chartering a yacht to make the most of your available dive time. For those with a smaller budget, snorkelling and driving excursions can be found along the beaches of Ambergris Caye and Caye Caulker. The most common excursions will take you to Hol Chan marine reserve and to Shark Ray Alley. 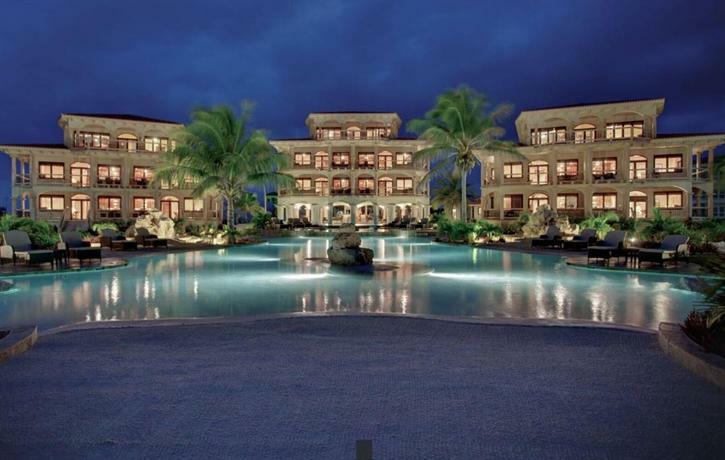 These trips usually cost about US$35 and include snorkel gear. Be mindful of an additional BZ$10 charged to foreigners as a park tax. This money goes toward the upkeep, and protection of the reef. Diving excursions are also offered to the Blue Hole, but expect to pay a lot more for the privilege. The Cayo district is characterised by limestone hills underlain by a network of underground rivers, caves and sink holes. The caves are magnificent, with huge caverns and tight passages, underground waterfalls and dazzling arrays of mineral-encrusted stalactites and stalagmites. This underground world was sacred to the ancient Maya and many artefacts from decorated pots to human remains are still intact in the caves. It is dangerous (and illegal) to enter the caves without a licensed guide. Most guides are trained in the geology and mythology of the caves and in modern first aid and cave rescue techniques. Ian Anderson's Caves Branch Adventure Company and Jungle Lodge, Caves Branch (Hummingbird Highway south from Belmopan). Anderson organized the initial guiding training programs in the country, out of which grew the Belize Disaster And Rescue Response Team locally called BDARRT (now an independent NGO). The Sleeping Giant and Caves Branch are operated by the same owner. There are up to 16 different tours they operate everyday. The Actun Tunichil Muknal or ATM caves have the highest number of tourists visiting a tourist destination in Central America. Also knows as the Cave of the Crystal Sepulchre this river cave has pristine remnants of some Mayan human sacrifices. It is a surreal experience complete with beautiful cave formations an underground river and Mayan collectibles. No wonder the Mayans called it the Xibalba or the dark underworld. The currency of Belize is the dollar (ISO code BZD), divided into 100 cents. The Belizean dollar – sometimes written as "BZ$" or just as a dollar sign: "$" – has been officially pegged to the US dollar (USD) at a 2:1 ratio since 1978 (i.e. BZ$2 = US$1). Since this is by statute, there is no floating currency exchange rate as there is between the US dollar and the Mexican peso. However, those exchanging other currencies for Belizean dollars such as British pounds, Guatemalan quetzales, Mexican pesos or euros should be mindful of this. Because of this simple and consistent exchange rate between these two dollar currencies, US dollars are widely accepted, but this means you should be careful to clarify which "dollars" you're talking about when negotiating prices. It's often better to assume Belize dollars because many merchants will jump on your uncertainty and attempt to double their price by saying, "No, in US dollars". Change can also be given in US dollars or a combination of US and Belizean dollar bills and coins. Belize dollars come in denominations of BZ$2, 5, 10, 20, 50, and 100. B$1 and smaller amounts are coins. The 25-cent coin is often called a "shilling." Three banks' ATMs in Belize take Mastercard: the Belize Bank, Scotiabank, and Atlantic Bank. A famous hot sauce in Belize is Marie Sharp's made from the very potent local habanero pepper. It comes in a variety of flavours (mild, hot, extremely hot). That odd looking salsa on your table is really ceviche. Ceviche -also spelled as cebiche or seviche- is a citrus-marinated seafood dish. The Belizeans use fresh raw conch and vegetables. Papusas are maize pancakes with different toppings sold in stalls on the streets in San Pedro town. It is the cheapest option if you want to eat on a budget. Eating in San Pedro can be expensive if you eat at the tourist restaurants; however if you find the local places, meals can be very inexpensive and very tasty. Belikin is the national beer and comes in four varieties: Premium, Beer, Stout, and Lighthouse Lager. Guinness Stout is also available in Belize but it's also brewed by the Belikin Brewing Co. All are sold in returnable bottles, so make sure you are aware of the deposit if you are taking your beverages to go. One Barrel Rum is the locally-distilled molasses-tasting rum and Traveller's Liquors' distillery is on the Northern Highway about 6 miles from Belize City with a gift shop and hospitality bar. You can purchase rum in a variety of colours and sizes, up to a 70 gallon cask. There are great opportunities for scuba diving off of Belize atolls. Check out reefci for some very interesting 1 week adventures that are both informative conservation education as well as great scuba diving. 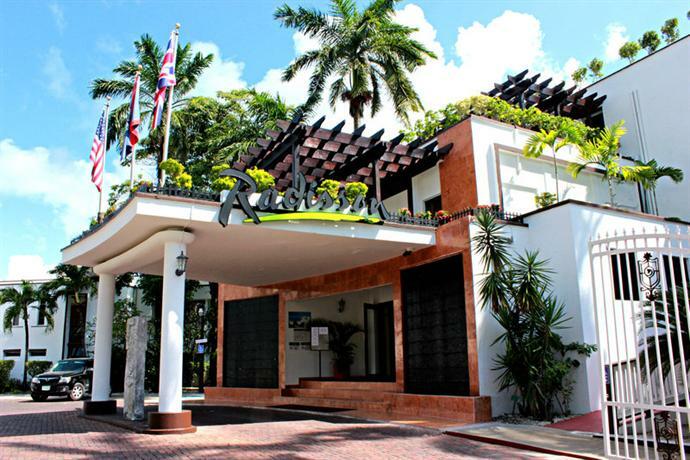 If you want to learn about Belize's history the Museum of Belize, House of Culture, and of course, travelling and discovering are recommended. Belize City is the most dangerous area in Belize, although it's very easy to be safe there. Remain in the tourist zone that runs just north of the marina to the southern extension to the east of the main canal. There are plenty of khaki tourist police monitoring the area and, should you have a problem, feel free to approach them. Just exercise common sense and do not go wandering around alone after dark. Stay near tourist areas or other commercial zones. The south side of Belize City is beautiful as well as dangerous. Otherwise, Belize City is a great place to go if you want to eat, learn, or shop. Other areas of Belize are generally safe, but like any other place in the world, one should always have some skepticism when dealing with strangers. Most are genuinely helpful, but it never hurts to be cautious. Under Section 5(1) of the Immigration Act, the government is entitled to deny LGBT travellers entrance to Belize. There are also no legal protections in place for victims of anti-gay discrimination in Belize. The US Centers for Disease Control list all of Belize except Belize City as a malaria risk area, and recommends the antimalarial drug chloroquine. Dengue fever is also a risk in Belize. Other drugs may also be recommended in certain circumstances - consult a qualified professional specialist. The sun, as anywhere else in the tropics, is very intense. Wear a long-sleeve shirt, a hat, and sunglasses, and apply high-SPF sunscreen regularly. If you are spending significant time on boats or in water, such as fishing or snorkeling, take extra precautions: covered shoes (not sandals), swim shirt/rash guard, neck gaiter, and sun gloves. The adult HIV/AIDS prevalence rate is 2.5% or one in every forty adults, this is notably higher than in most of Europe or Anglo-America and also quite a bit higher than in other parts of Central America like Nicaragua or Costa Rica. Payphones are the most common public phones and accept pre-purchased phone cards. Internet cafés can be found in larger tourist areas, but are infrequent in rural areas. The government used to prohibit allow Skype and forced tourists to call out of the country using the government-owned phone company. In a recent change the main telephone company, Belize Telemedia Limited, has removed blocks from all voice over internet protocol services. Applications such as Skype and Vonage are now able to work within the country and may prove to be a cheaper medium of communication when calling back home. Criminal activity, including robbery and mugging, is a significant problem in Belize City and has recently increased in and near Belmopan. It is also occasionally reported in resort areas. Crime increases seasonally around Christmas and New Year. Occasional violent crimes against tourists have occurred. Travel in groups and ensure that personal belongings and travel documents are secure at all times. Do not show signs of affluence. Use taxis after dark instead of walking. Armed robberies occasionally occur near the western border with Guatemala, including near and around Caracol. You should only travel to these areas during daylight hours. Be cautious when visiting Mayan archaeological sites in that region. Only use official border crossings to enter Guatemala. Cases of sexual assault against female travellers have been reported. Never leave food or drinks unattended or in the care of strangers. Be wary of accepting snacks, beverages, gum or cigarettes from new acquaintances, as they may contain drugs that could put you at risk of sexual assault. Roads are often poorly maintained and lit. Avoid driving after dark, especially on rural roads. Traffic accidents occur regularly. Belize has four paved highways: the Western Highway from Belize City to Benque Viejo del Carmen and on to the Guatemalan border; the Northern Highway from Belize City to Corozal and on to the Mexican border; the Hummingbird Highway from Belmopan to Dangriga; and the Southern Highway from Dangriga to the resort area of Placencia and on to the southernmost town of Punta Gorda. Be careful crossing bridges on the Hummingbird and Southern Highways, since bridges are usually only one lane. Most other roads are unpaved; they can be very dusty in the dry season, whereas major puddles and mud can be a problem in the rainy season. Bicycles and livestock constitute a traffic hazard, especially in urban areas. Service stations are available on the three main highways connecting Belize City with Mexico, Guatemala and southern Belize. Always keep your tank full when in remote areas, as service stations are scarce and they usually close for holidays. There are no emergency road services. A few public telephones can be found in larger villages only. You should not stop to offer assistance to others whose vehicles appear to have broken down. Passenger boats may be unsafe. Public buses and taxis are often unsafe due to poor vehicle maintenance. You should only use registered taxis with green licence plates. Ensure the recreational activities you choose are covered by your travel insurance, and that rental sporting and aquatic equipment is safe and in good condition, especially for diving and snorkelling. Avoid insect bites when on the southern coast or in the jungles and avoid being stung by jellyfish when snorkelling. Medical facilities are limited, and severe emergency cases require evacuation to another country at the expense of the patient. Individuals and organizations must obtain a permit to possess pre-Columbian artifacts. A Convention on International Trade in Endangered Species of Wild Fauna and Flora permit is needed to collect, possess and/or export certain plants, animals and/or plant and animal products. You must be over 25 to rent a vehicle. Remember to purchase sufficient car insurance. An International Driving Permit is recommended. Penalties for possession of unlicensed firearms or unlicensed ammunition are strict, including large fines and mandatory jail sentences for repeat offenders. Some homosexual acts are illegal. The currency is the Belizean dollar (BZD). Cash advances can be obtained at local banks with major international credit cards. The low-lying coastal islands of Belize are particularly vulnerable to direct hits by hurricanes and tropical storms. The islands have been cut off from communications and outside assistance during hurricanes. Extensive flooding as a result of storm activity is common both on the islands and in areas of the country not directly affected by hurricanes.